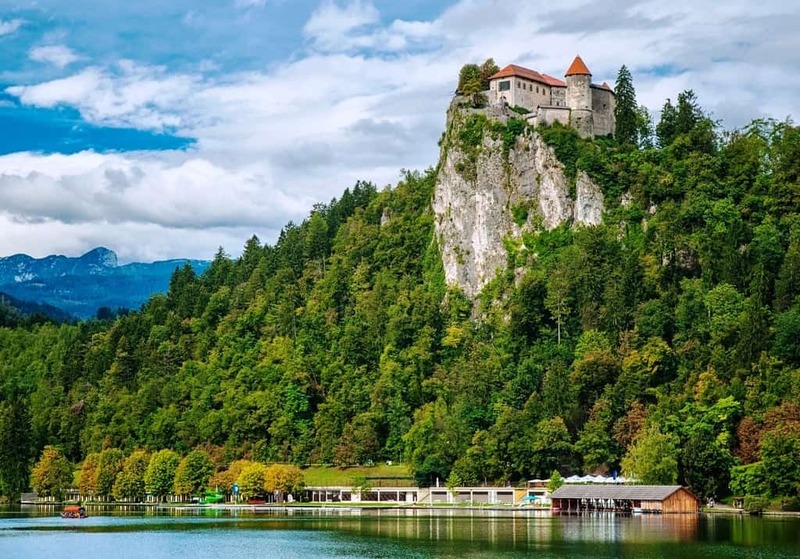 This 2-week Eastern Europe itinerary offers infinite variety, historical and culture gems in cities that have firmly established themselves on the tourist trail. 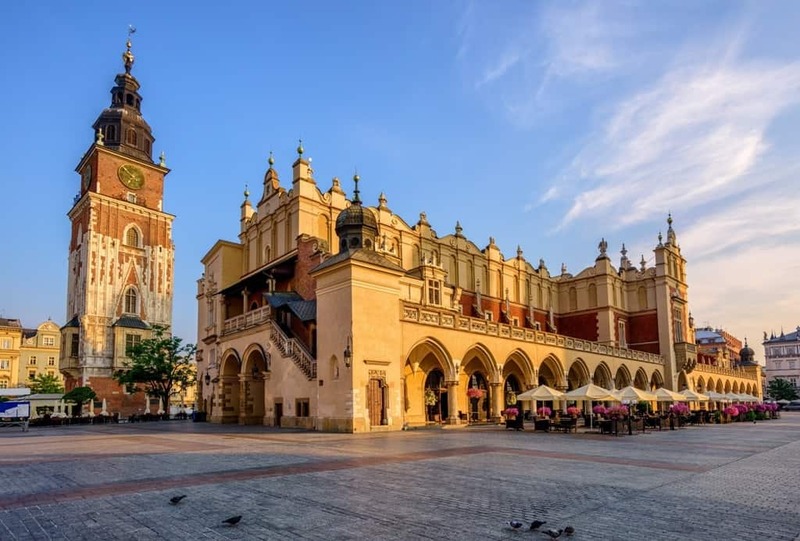 Four of the five cities are national capitals, the exception being the stunning city of Krakow in Poland where you can get a reminder of the horrors of war, but much more. In relatively recent times, they were all under communist rule but they have burst forward to have an international outlook, and international appeal as well. You start in the Capital of the Czech Republic, Prague before crossing the border to nearby Krakow. 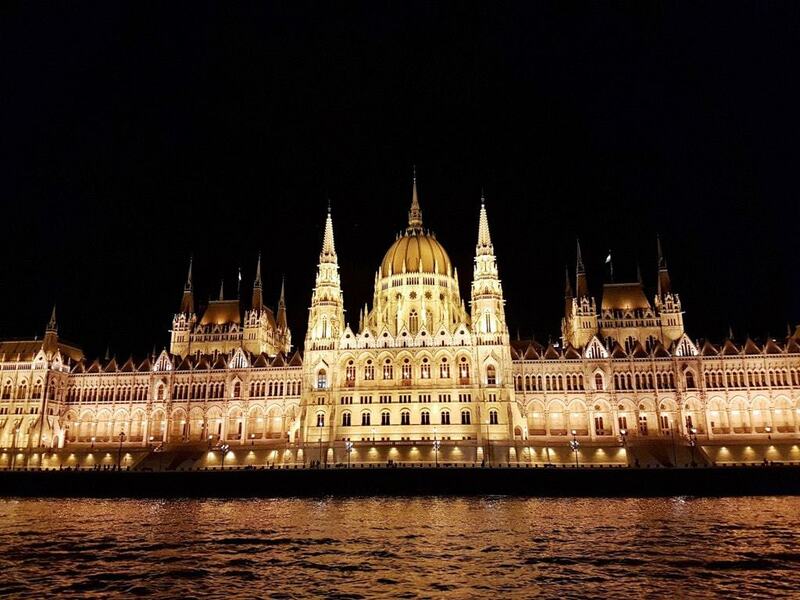 An overnight train takes you to the equally stunning city of Budapest, the Hungarian Capital before heading to two capitals that were once part of Yugoslavia, Zagreb, now the Capital of Croatia and Ljubljana, the leading city in Slovenia. A real experience awaits. 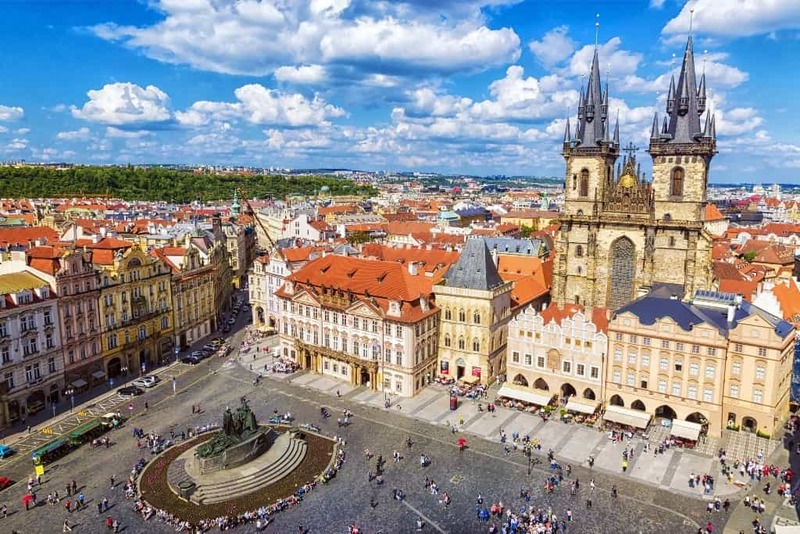 Prague was home to the Bohemian Kings, a provincial capital in the Austro-Hungarian Empire and after World War II, was under Soviet control for almost 50 years as the Capital of Czechoslovakia. Prague has been the capital of the Czech Republic since its break up. It offers the tourist a wealth of history and culture within a fairly small geographical area. Much of it is in the Old Town and just over the Charles Bridge which crosses the Vltava River. You arrive in this wonderful city by air. Prague’s International Airport, Vaclav Pavel has three terminals and is located around 20 kilometers to the north west of the City. Czech Rail runs the best service, an express bus which runs directly to and from the main train station in Prague every 10 minutes between 5.30am and 9.00pm costing just 2 euros. Authorized taxis are available at the airport and passengers get a 20% Discount Voucher for use if they need a return trip. 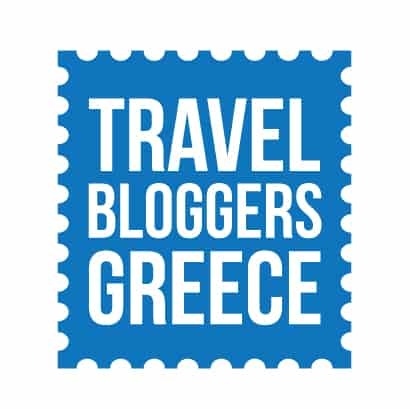 Prices start at 16 euros. Private transfers can be booked in advance and provide a door to door service. A private driver will meet you in the arrivals terminal with your name and a bottle of water. Welcome Pickups is a well-known, popular company with local, knowledgeable English-speaking drivers, who go through specific training in order to drive. We used Welcome Pickups during our three days in Prague and were quite happy with the service. The cost of the transfer is the same one as the taxi. You can catch buses which linkto metro stations from where you can travel to the City. The journey normally takes about 45 minutes. You can buy tickets from kiosks within the terminals. Credit cards other than American Express can be used for payment butthe cost isonly around 2 euros. Hotel Klarov is a boutique four-star hotel in Mala Strana, housed in a former Baroque mansion. It is central to all of the city’s major attractions yet on a small street that doesn’t feel crowded or overwhelming. With just 25 bedrooms, the Baroque hotel is exclusive, yet welcoming and warm. 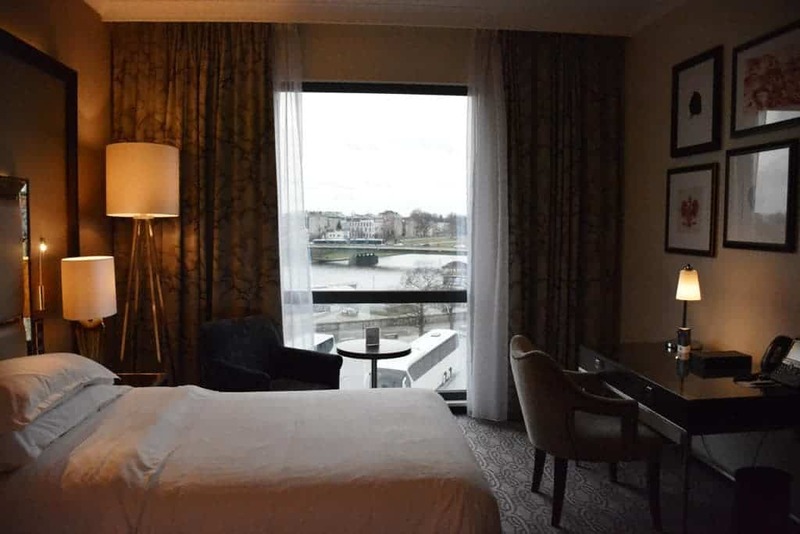 Rooms are modern and luxurious, offering guests plenty of space and great views of the city or castle. Breakfast is included and is served in either the restaurant or garden terrace. 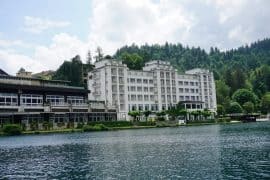 Read about my stay at the hotel Klarov. 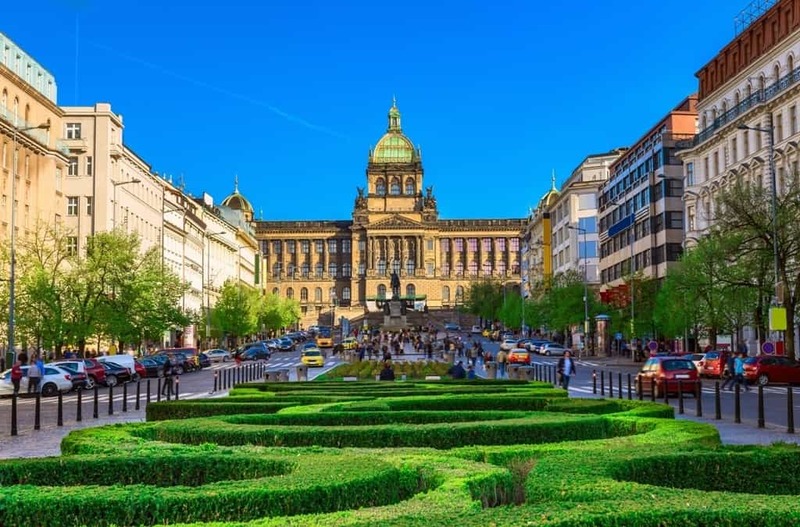 In the center of the Old Town close to Old Town Square, the Marriott is ideally located for you to enjoy the best of Prague while offering the quality amenities as you would expect. 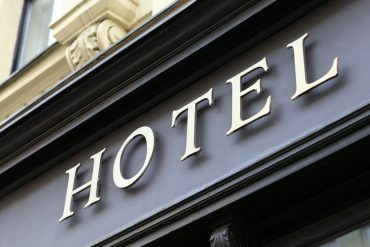 Once you have booked into your hotel, it is time to see some of the sights. Staying in the heart of the city means that you can see things during the rest of the day. 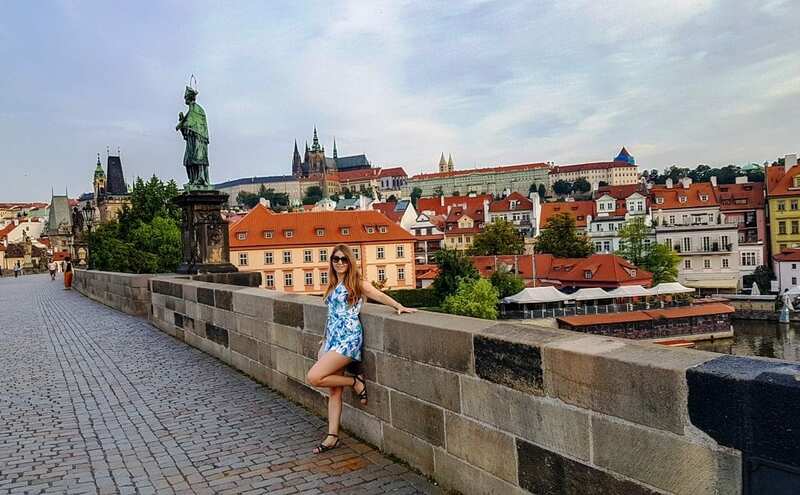 If you climb to the top of the tower of the Old Town Hall the views will explain to you why Prague is nicknamed the ‘’City of a 1,000 Spires.’’ Go through the impressive Gothic doors into the building and spend time looking at the fine art collection and a 14th Century chapel. The clock face of the Tower is the oldest of its kind anywhere with the 12 apostles crossing above the dial on the hour. Wenceslas Square in the center of modern-day Prague with its shops, restaurants, and bars. A statue of King Wenceslas, the Patron Saint of Bohemia, dominates the Square, standing there since the 14th Century when the area was a horse market. The National Museum at the top of the Square is the best option of Prague’s many museums during your brief time in Prague. The building opened in 1891 and highlights include the archaeology section with early Roman artifacts and Bronze and Early Stone Age exhibits. 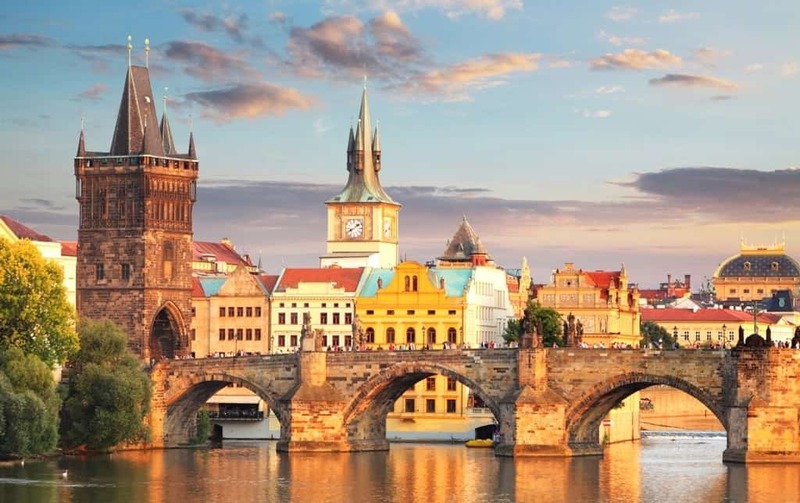 The Czech Republic is famous for its beer and after a busy day, you may feel like one or two. There are beer tours but just head to places where locals go. The Square is a good place to start with plenty of places to eat as well. You should make an early start on Day 2 because there is quite a lot to fit in, and most of it is across the river from where you are staying. Charles Bridge links the Old Town with Prague Castle. It is 520 meters long and was finished in 1402, 45 years after it was started. The many points of interest on the Bridge itself include statues of the Holy Roman Emperor, Charles V and the nation’s most important saint, John of Nepomuk. Home of the Bohemian Kings and today the President, Prague Castle dominates the skyline from its 45-hectare site. The Guinness Book of Records says it is the oldest ancient castle in the world, dating from 970. You should see the Vladislav Hall, the Royal Garden and Summerhouse with its fountain while the Changing of the Guard is at noon. 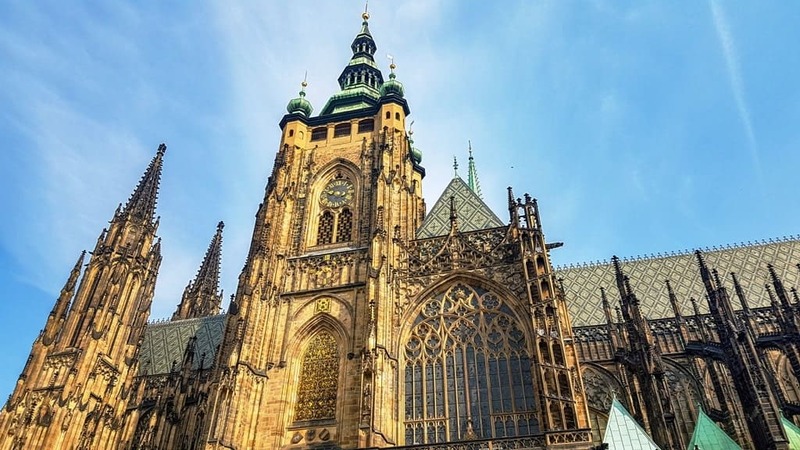 Click here to book a 2,5-hour tour of the Prague Castle . The admission ticket is included. St. Vitus is in the Palace Grounds on the site of a Rotunda built even before the fortress in 925. 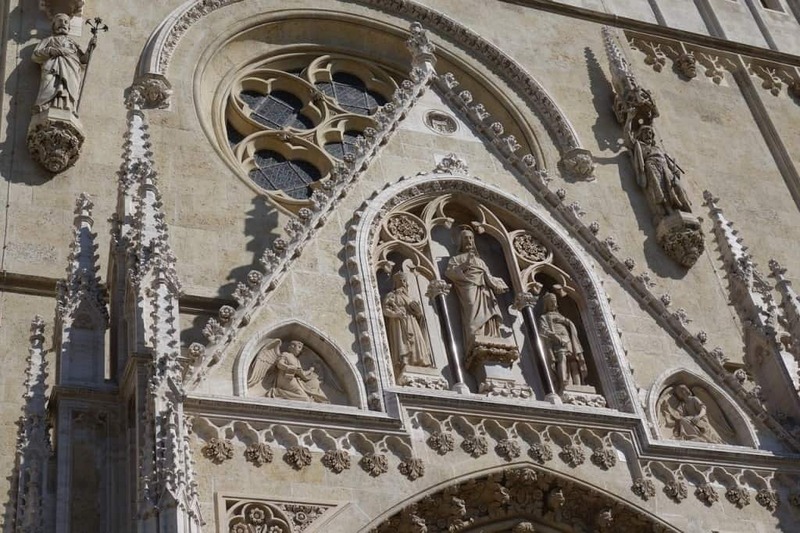 Begun in 1344 and finished centuries later, the Cathedral is a mix of Gothic, Neo-Gothic, Baroque and Renaissance. Saints and Bohemian kings are buried here and the lovely windows are 14th Century. If you climb the 100-meter high tower, you will get some stunning views. While this district was formerly little more than a slum, it has been tidied up considerably. Take a look at the chaotic cemetery that is a testimony to the lack of space while the Spanish Synagogue is certainly worth some of your time before you start to plan your evening. 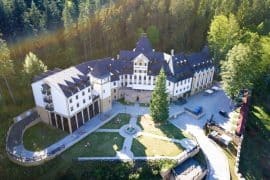 While you could certainly enjoy more time in Prague, today is about getting out of the City to take a look at another part of the Czech Republic. There are a couple of ideas and choose from them. Both are fairly accessible and good for a day away from the City. This South Bohemia City also sits on the Vltava River which flows through its heart. A 13th Century castle dominates the city, sitting in lovely gardens. The best view of the City comes from its bell tower. It was a medieval town that has largely avoided trouble over the centuries and its buildings and streets are typical of the Renaissance and Baroque times. The 15th Century church of St. Vitus is something you should visit while you are there. 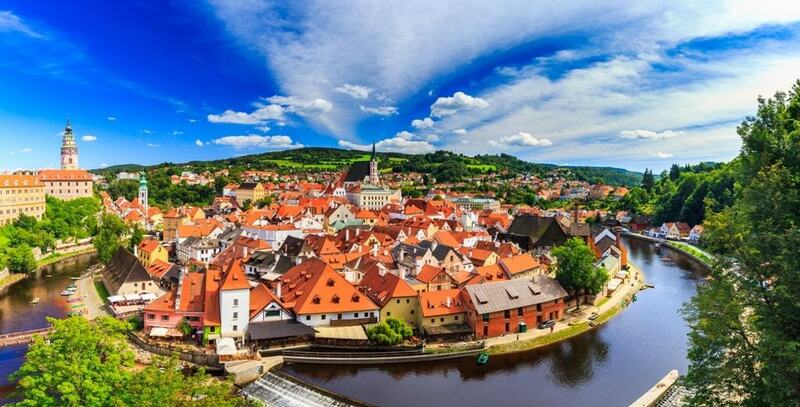 Click here for more information and to book a day trip to Český Krumlov. This city east of Prague is famous for the Gothic St. Barbara’s Church and its medieval frescoes. Sedlec Ossuary is a chapel ‘’decorated’’ with human skeletons while the Baroque Cathedral of the Assumption is located on the site of a former Cistercian monastery from the 12th Century. The region was transformed when silver was discovered. The town became the location for the Royal Mint and was thereby a very important town in Bohemia. The Church of St. Barbara and the Cathedral of Our Lady at Sedlec were constructed because of the wealth available and UNESCO has recognized them by awarding then both World Heritage status. 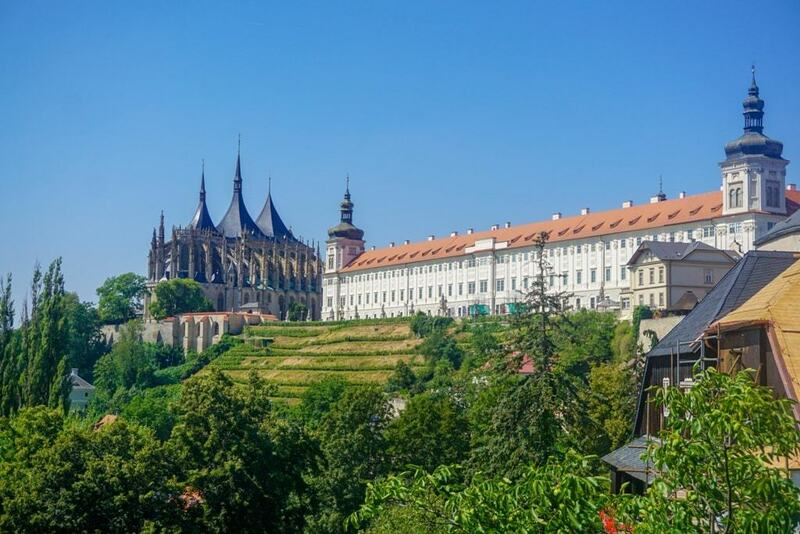 You might be interested in: Things to do in Kutna Hora. Click here to book a day trip to Kutna Hora from Prague. 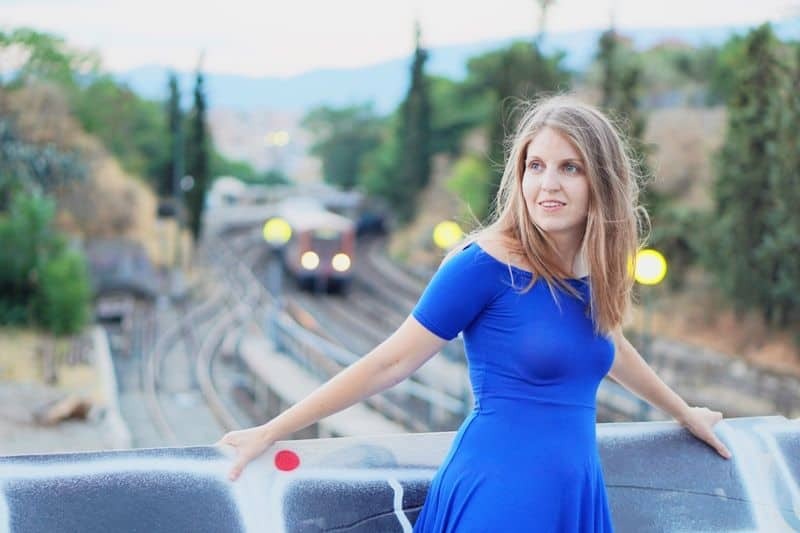 The daily train service leaves Prague at 10:30 and arrives in Krakow at 17:00. Coach services offer the trip with prices significantly cheaper. The journey time varies depending on the coach selected but in general, the train is a little quicker. Either way, there will be little time left in the day when you arrive but you can enjoy a full evening on your arrival Krakow. After settling in at your hotel you can have a stroll around Krakow’s central square. The original St. Mary’s Church dates back to 1220. The interior is beautiful and home to two altars. One is the largest piece of medieval art of its type while the other also by Veit Stoss (1477-89 is a stone crucifix. This Hall opened at the beginning of the 14th Century though today’s appearance, Renaissance-style, comes from the mid-16th Century. Today, it holds an interesting museum. The nearby Town Hall Tower is even older. Kraków in the South of Poland has a medieval heart centered on Rynek Glówny (Market Square) and a famous Jewish Quarter. The Old Town, a UNESCO World Heritage Site, has the main attractions you will see today. How much you get to see depends on the time you take at each destination. This castle is on a hill beside the Vistula River, 228 meters above sea level. The Castle and the nearby Cathedral where famous people are interred start your time in Krakow. Few castles in Europe can match its beauty. This Gate with its four towers and arsenal is the only section of the medieval walls that still survive; those walls were 5 kilometers long. Pope John Paul II lived here as Bishop/Cardinal of Krakow from 1963 and spoke to crowds from a window in the Palace. There is often a candle in that window, and sometimes flowers beneath it. This Jewish District has the Remuh Synagogue and the Jewish Cemetery dating back to 1511. The home of a former Nazi Concentration Camp and Schindler’s Factory. 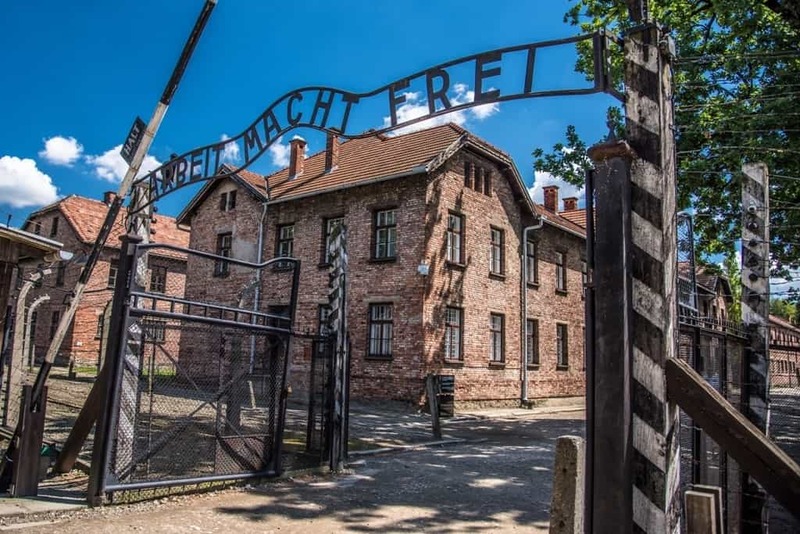 Aside from the beauty of Krakow itself, tourists head here as the gateway to Auschwitz, and increasingly to the remarkable Salt Mine and the creations that miners have made from salt. It will be an early start but you can see both in a day and the afternoon at the Salt Mine will lift your spirits after the somber atmosphere of Auschwitz. There were a few Nazi Concentration Camps in Oświęcim, 65 kilometers to the west of Krakow; they are grouped together under the name Auschwitz. It is a trip that can take all day with 2 hours traveling time in total but that is not for you. There are three camps where prisoners were forced labor. Sadly, one was primarily a place for extermination. Click here for more information and to book your guided tour to Auschwitz Birkenau. A million visitors a year and rising come to see this attraction. Generations of miners used their skills to fashion salt into a whole range of things from furniture to chandeliers. Salt used to be a source of wealth to the Polish Monarchy. Today, the mine is an impressive statement of Polish culture which UNESCO has recognized. It has inspired artists from far and wide. They saw the great sculptures that visitors see today. Each of the miners who contributed to this magnificent place was self-taught. 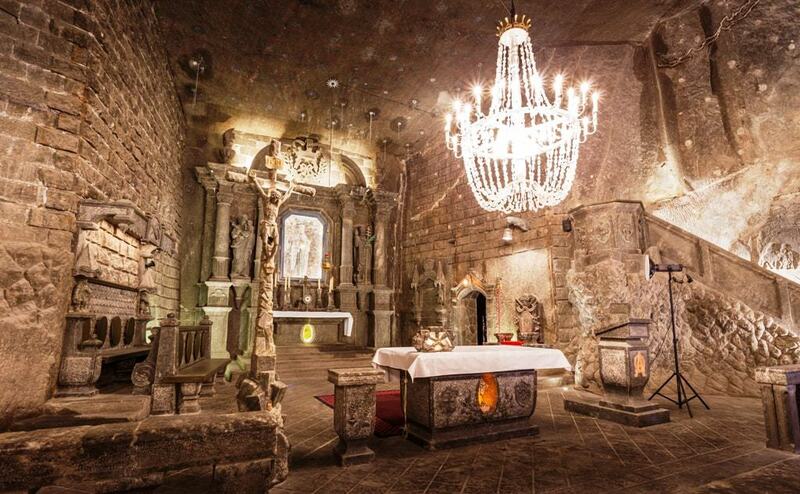 Click here for more information & to book a tour to the Wieliczka Salt Mine Incl. Hotel Pick-Up. Alternatively, if you want to visit both Auschwitz and the Salt Mines like I did. I suggest the following tour that includes both. Auschwitz and Salt Mine Full-Day Guided Tour from Krakow. I had the pleasure of staying at this stylish hotel. 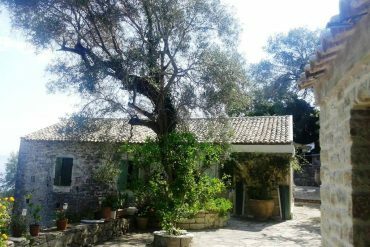 It is in a great location; only minutes walk from the station. Within the hotel are restaurants and bars as well as a spa, an indoor pool, and a gym. Formerly an old 13th-century monastery, this hotel is located opposite The Fisherman’s Bastion and provides full amenities including a restaurant, bar, gym, and sauna. I stayed here on my first visit to Budapest. 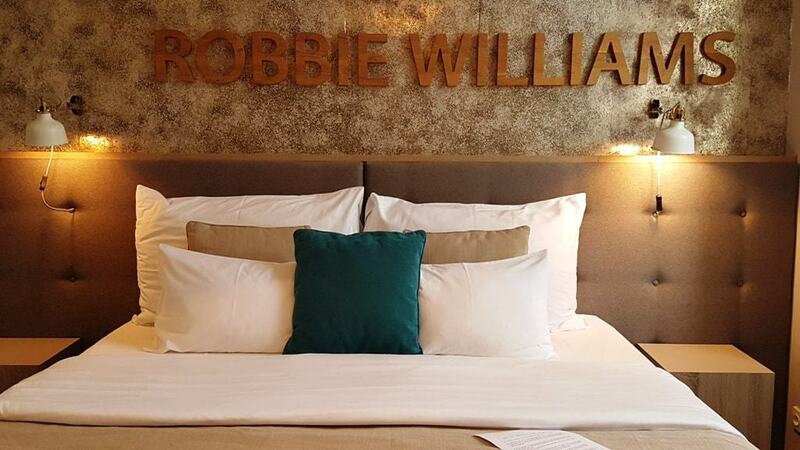 Located in a shopping street, this modern hotel offers Wi-Fi, a mini bar, flat-screen TVs and a complimentary breakfast. 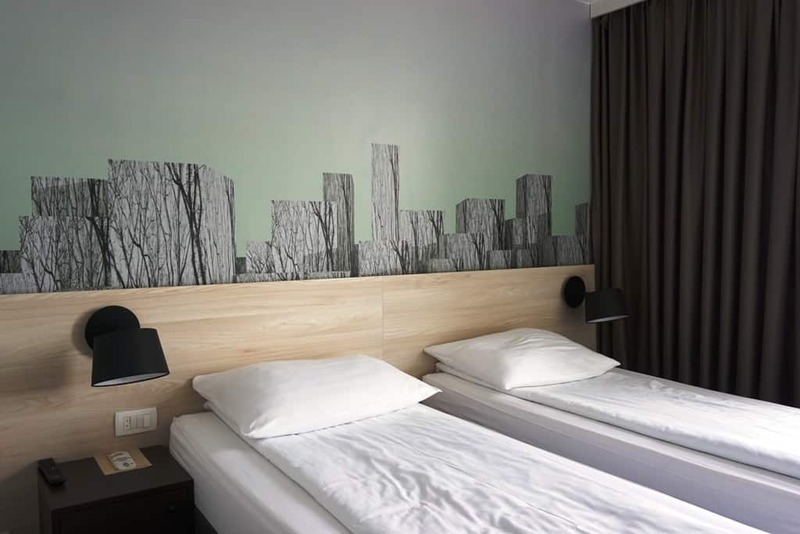 This music-themed hotel located next to St Stephen’s Basilica is within walking distance to attractions and offers modern amenities and facilities as well as a complimentary breakfast, afternoon wine, and snacks. Your hotel will take your luggage at any time although you will not have access to your room mid-morning. Drop off your luggage and start your sightseeing. 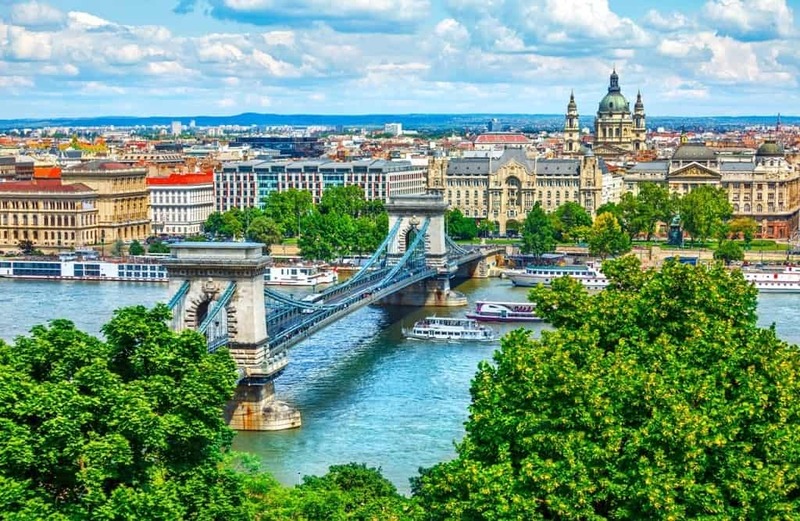 Budapest is a city rich in history and culture once occupied by the Ottomans, an important city in the Austro- Hungarian Empire and under Communist rule in the second half of the 20th Century. There are city tour buses that can help you with ideas, stopping at more than 20 of the main attractions. 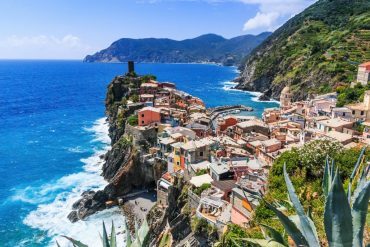 Perhaps that is an idea to start out but this itinerary makes some selections for you? St. Stephen’s was begun in 1851 and consecrated in 1905. The Dome actually collapsed at one stage. It needed repair after the Nazis left and the work has been excellent. In the interior, there are impressive mosaics as well as the mummified right hand of the first King of Hungary, St. Stephen. This synagogue is the largest in the world outside New York and was built in 1859. The museum next door tells the story of Jewish suffering, especially in World War II. At one time this district was a ghetto but things have changed. The Tree of Life Memorial remembers those killed by the Nazis. It is time for a coffee and there are few better places to have one than in this stunningly beautiful café that is more like entering a palace with its ornate décor. It serves everything from breakfast to dinner with a small orchestra playing above the stairs at the far end. You would need to book a table well in advance for dinner but if you come in off the street during the day, you will soon get a table. 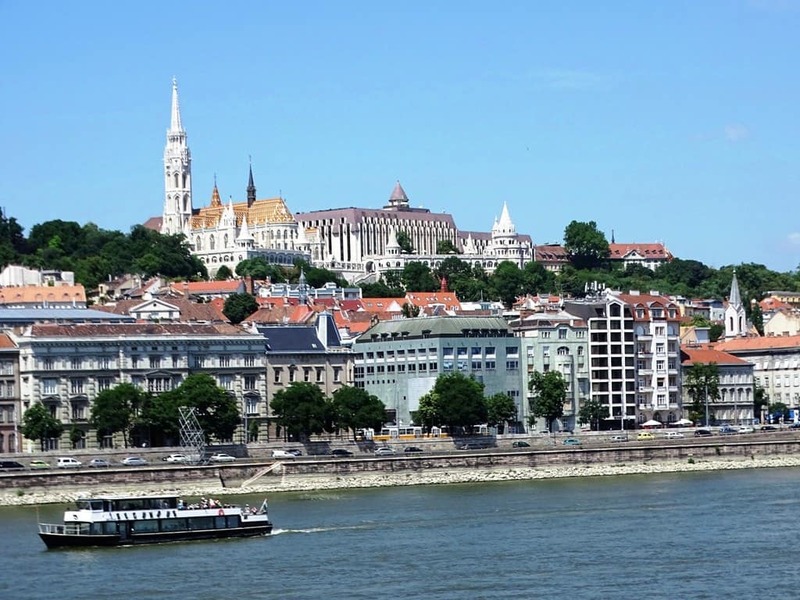 The Danube is such an important feature in the City, you should take a cruise on the first day you are in Budapest. If you prefer you can do that at night as well. The typical cruise of just over an hour gives you great views of both banks of the river and goes as far as Margaret’s Island before returning. 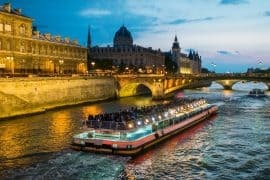 Click here to book a Danube Cruise. Today begins in Buda, across the famous Chain Bridge. 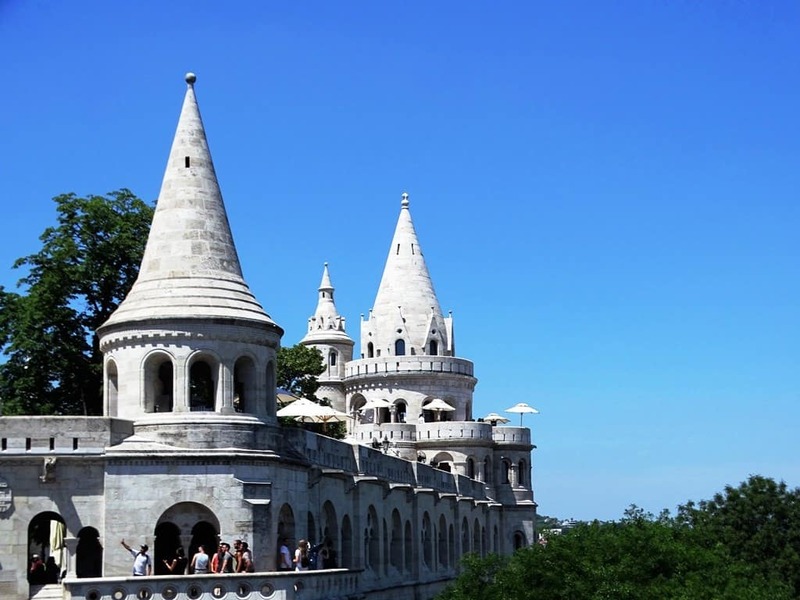 Castle Hill overlooks the Danube on the Buda side. A funicular takes you up to the cobbled streets and there is a bit of walking to do. 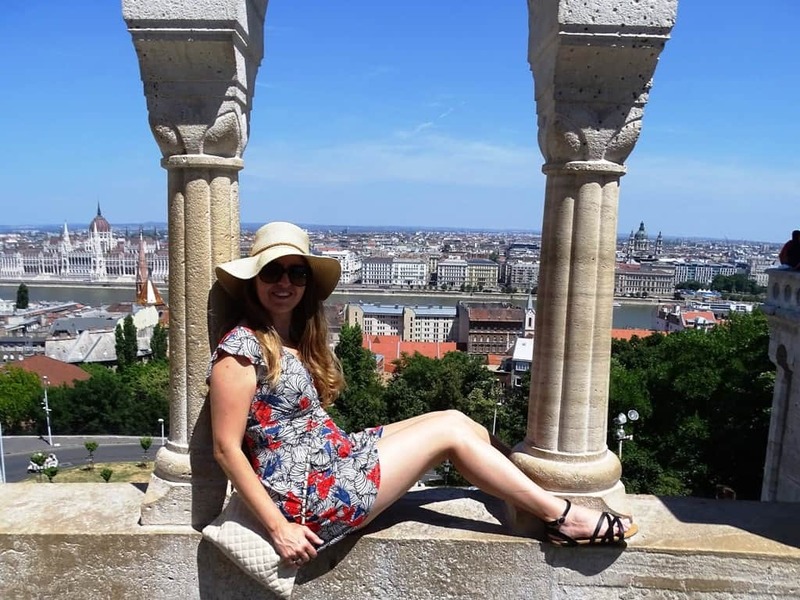 Buda Castle was an 18th Century palace on a site of a 13th Century castle. Renovated after World War II, today it houses the National Gallery and the Budapest History Museum. Castle Hill as a whole is a UNESCO World Heritage site. Defensive walls were built back in the Middle Ages but today’s towers, courtyards, and walls date back to the late 1800s. 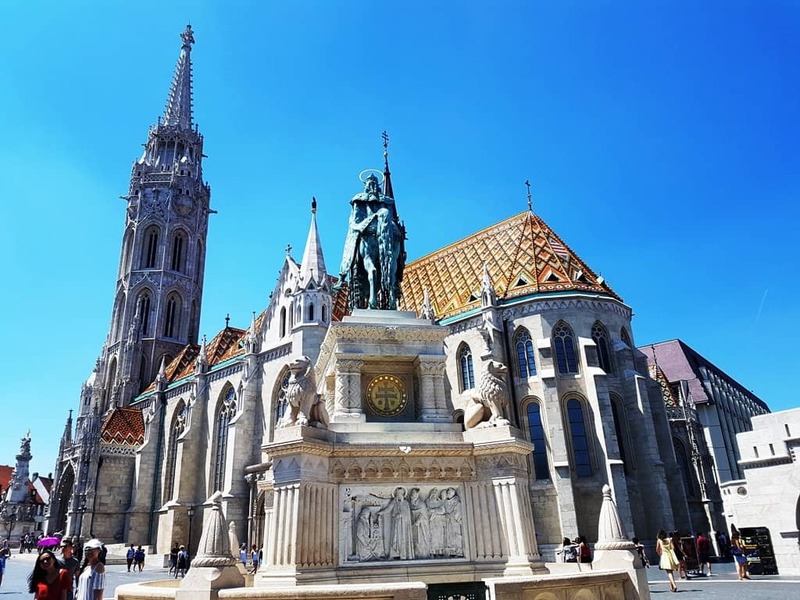 The bronze statue of St. Stephen, the first King of Hungary and reliefs of scenes from his life are just two of the things you will see when walking around. The 13th Century Church of Our Lady became a mosque when the Ottomans arrived; they stayed for a century and a half. 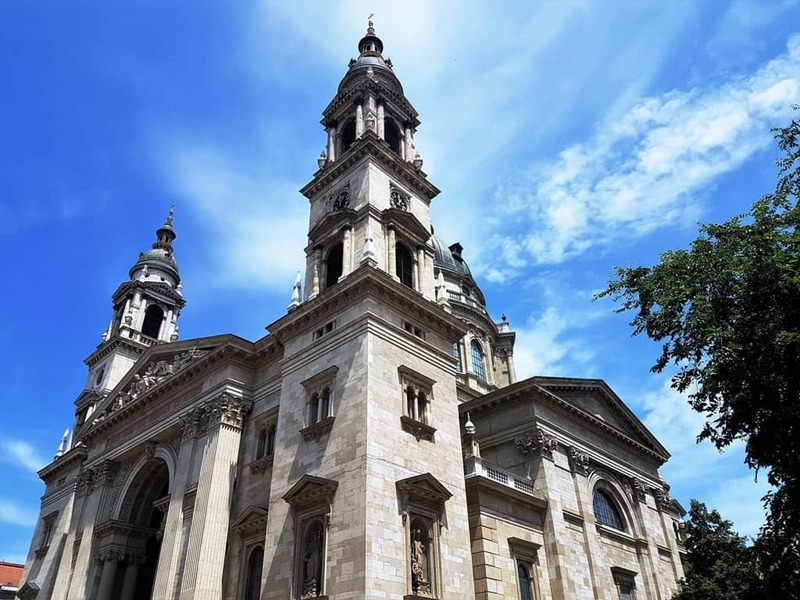 Among the events that have been held in the Church are the coronations of Charles I in 1309 and Franz Joseph I of Austria in the middle of the 19th Century. 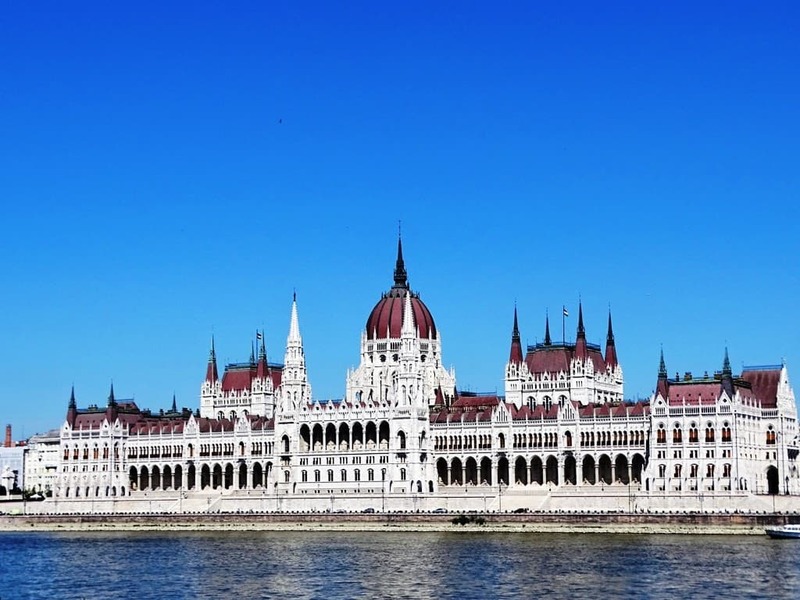 The huge building you will have passed on your Danube cruise yesterday back on the Pest side of the City is the Parliament. It is the third largest parliament building in the world and opened in 1886. With 700 rooms and 20 kilometers of corridors, you can only see a small part with the guided tour of an hour including the Crown Jewels. Click here to book a 45-minute guided tour to the Parliament. Back out on the promenade on the banks of the Daube, there is a Jewish memorial, 60 pairs of steel shoesrepresenting footwear of those shot here by the Nazis towards the end of World War II. They simply fell into the River and floated away. Zagreb is 350 kilometres south west of Budapest and you have the option of bus or train to get there. There are two trains a day, most days with the journey taking more than 5 hours. The alternative is a bus journey with the quickest ones being both cheaper and faster than the trains. This elegant hotel overlooking the square has few equals in Zagreb. 5-Star facilities include a quality restaurant. It opened in 1925 and has played host to many famous statesmen and celebrities since then. Come and enjoy its facilities as they have. This centrally located hotel manages to combine its 30s charm with modern luxury and the facilities expected of such accommodation. With 100 rooms and the wonderful Ragusa Restaurant and Glama Bar, you are certain to enjoy your time here. 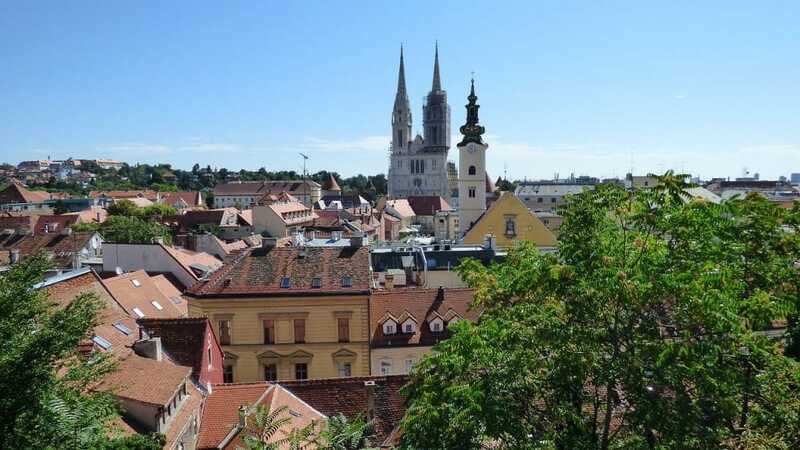 Zagreb divides into two, Upper and Lower Town and there is plenty to see in both. The initial cathedral was destroyed in 1242 by the Tartars, the second by a serious earthquake in 1880. What you see today is the restored cathedral in Neo-Gothic style. 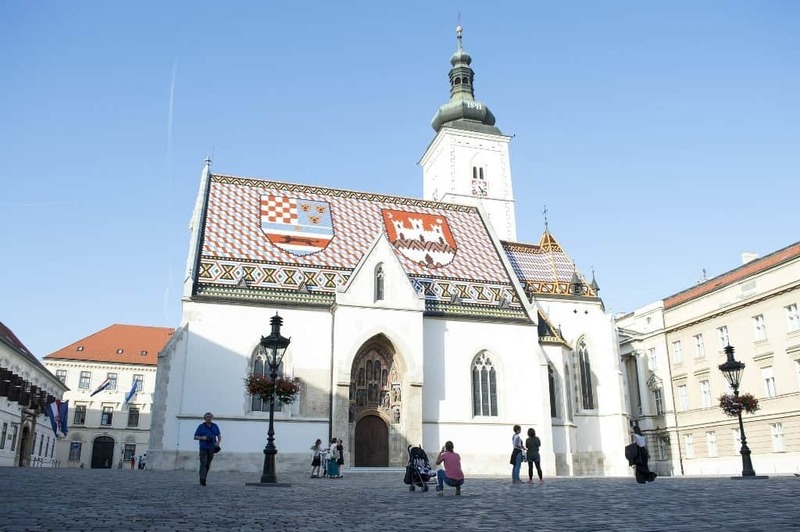 This church is one of Zagreb’s oldest structures and is notable for its statues, Mary and Joseph, the infant Jesus above St. Mark and the Lion. It is located in St. Mark’s Square. This Gate in Upper Town is now a shrine to the Virgin Mary and you are expected to be quiet as you pass through it. There is a portrait of Mary which the locals regard as sacred because it survived the huge fire in Zagreb in 1731. The nearby Statue is that of St. George slaying the dragon. Stroll along here to see local painters and artists perform and at the same time get lovely views over the Lower Town. This is the largest park in Zagreb and a great place to relax. There is forest and some small lakes. Mimara donated much of the contents of this museum. 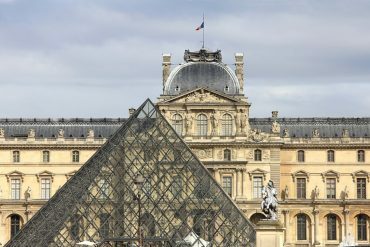 There is a wealth of art, paintings from such as Raffaello, Caravaggio, Canaletto, Rembrandt, Rubens, Goya and Renoir, an art lover’s dream. 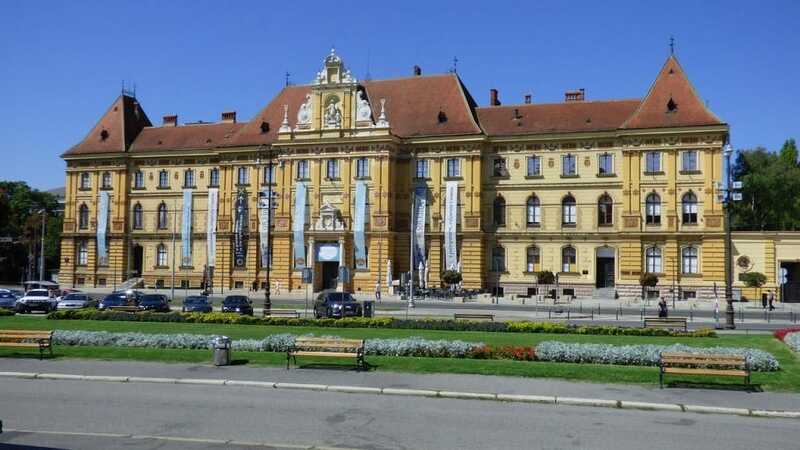 Exhibits include early Croatian samples, the Egyptian collection and stone monuments largely from the Roman period. There are several trains each day to cover the 140 kilometres between Zagreb and Ljubljana. The quickest takes two and a quarter hours. If you choose the bus instead, the times are comparable. 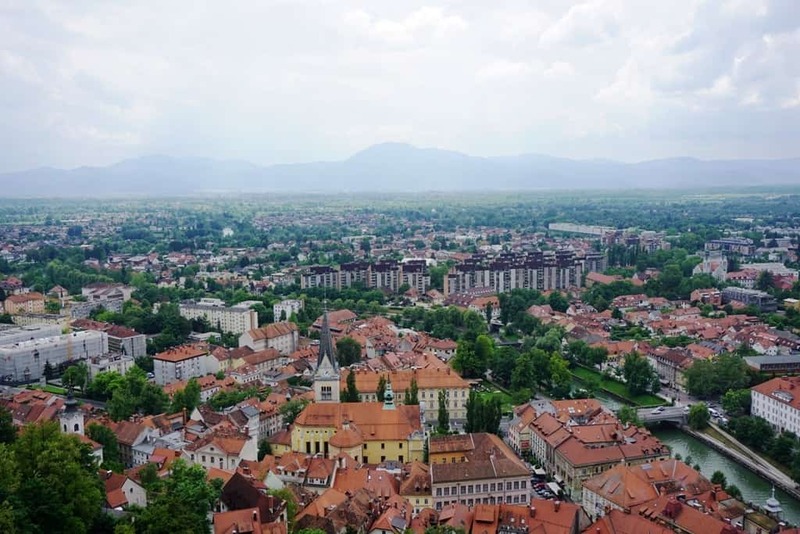 Either way, you will have time to check into your hotel and have some time to start your exploration of the Slovenian City if you leave by mid-morning. I stayed at the Hotel Park while in Ljubljana. This contemporary-designed hotel is located at the heart of the city and has a stunning view of the nearby Ljubljana Castle. The eco- friendly hotel offers many helpful amenities like free Wi-Fi, a lovely breakfast and a nice restaurant. 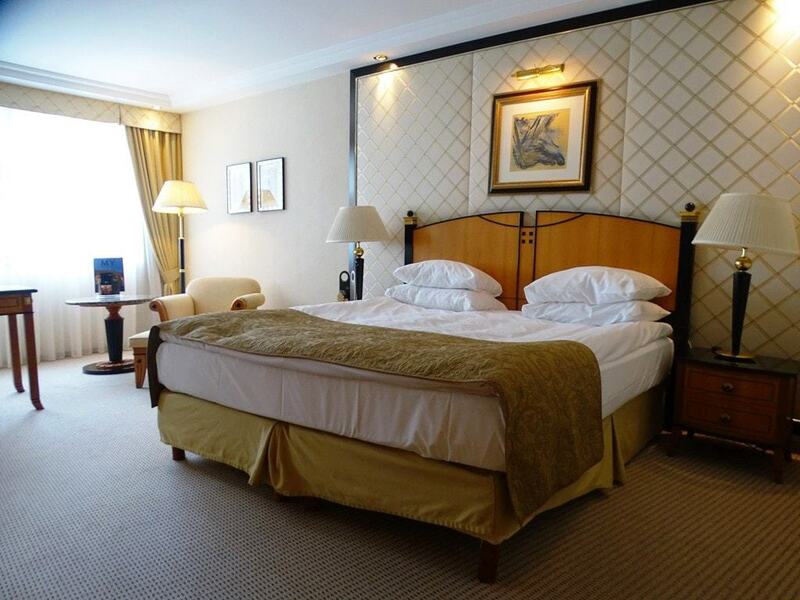 This lovely hotel in the Old Town is in an ideal location for a short visit to Ljubljana. A 100 years of history is proof of its standing and with spacious rooms and suites, there are few better choices in the City. 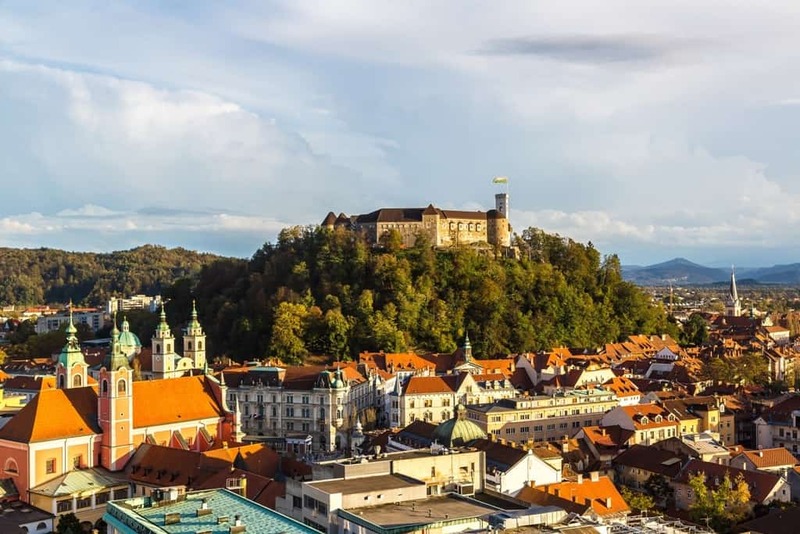 Among the many benefits of a stay in this central location are the views of Ljubljana Castle and the Cathedral. The immediate area is vibrant with many good bars and restaurants. 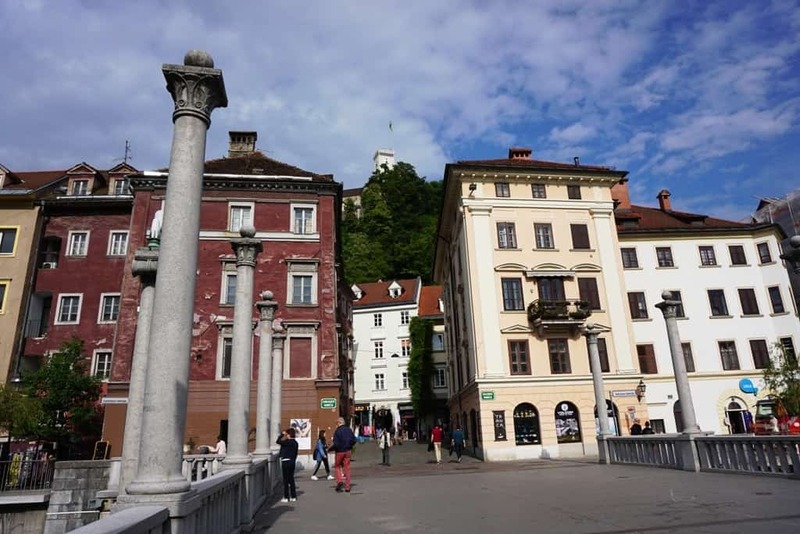 After settling in your hotel you can have a first stroll around the Old Town of Ljubljana. Old Town has two lovely squares with the Robba Fountain in front of the city hall. Continue on to see many well-preserved medieval buildings in narrow alleys now used as designer shops, cafes, and restaurants. This is where crowds gathered in 1991 to hear the announcement of Slovenian independence. It has an important role in Slovenian history and Parliament is just over the road. Ljubljana has a commercial center separated from the Old Town by the Ljubljanica River which curves through the City. There is plenty to see and you can do most of it on foot fairly comfortably. If you have time you should try to visit the National Museum of Slovenia and the Museum of Modern Art but see how you go. There are three separate picturesque bridges next to each other. Close by is Prešeren Square with a statue of Slovenian most famous poet France Prešeren. 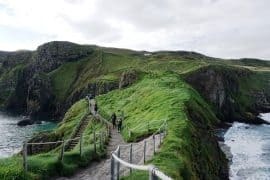 There is a steep walk up to the Castle from Triple Bridge although you can take the funicular if you wish. The views from the top of the tower are spectacular with the Sava River and Kamnik Alps in the distance. The Dragon is the city’s motif; there are four dragon statues here and the Open Market is at the end of the bridge. 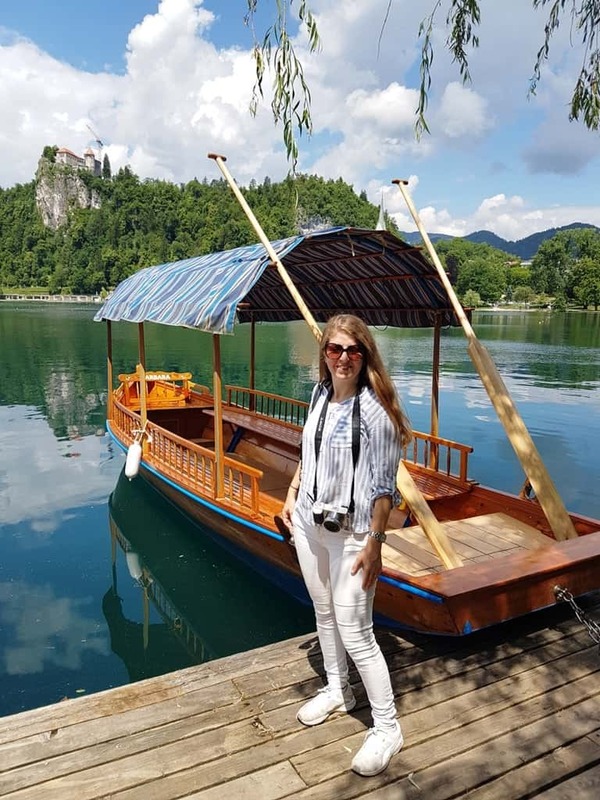 There is a resort town below the Julian Alps worth a day trip out of Ljubljana, Bled, where the 11th Century Castle, now a museum, sits on a cliff above Bled Lake which is 30 meters deep and fed purely from springs. The current castle only dates from the 17th Century and needed restoration in the mid-20th Century. There is a 16th Century chapel with nice frescoes and a museum on the castle’s and the region’s history. Try the wine made by Andre, the monk. The Pilgrimage Church of the Assumption of Maria is on a small island in this glacial lake which is accessed by a boat similar to a gondola. The frescoes of the Virgin Mary are the highlight of the interior. The current church dates back to 1698 but those frescoes were in the original Gothic church that dated back to 1534. Excavations have shown that there were a chapel and a cemetery here in the 1st Century AD. It’s time to head for home after a leisurely breakfast, flight timetables permitting. The airport is 24 kilometers from the center and there are direct flights to some 30 cities. Many of the low-cost airlines fly in and out of Ljubljana as well as Turkish Airlines and Air France. Alternatively, you can fly home from nearby Zagreb, Vienna or even Venice and Milan. wow chrissy,Your post is really awesome and very informative too.Thanks for this beautiful itinerary.